San Francisco-based private financial group backs European holding company, to support its expansion into the hospitality sector. 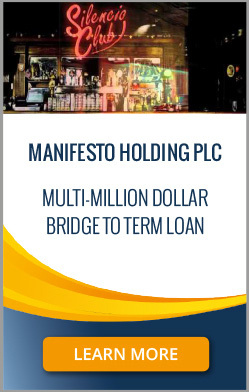 SAN FRANCISCO, August 2018 – US Capital Global has provided multi-million dollar follow-on bridge financing to UK-based public company Manifesto Holding Plc (“Manifesto”). 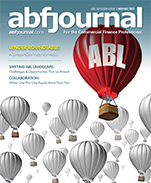 US Capital Global participated in this bridge financing from its own balance sheet, leading the round through its business credit fund, US Capital Business Credit Income Fund, LP. The financing provides additional working capital for Manifesto and allows the company to repay an earlier bridge loan, ahead of a forthcoming growth-capital term loan. With a host of popular venues across Paris, France, Manifesto is an expanding stakeholder in the French arts, culture, and recreation world. Headquartered in San Francisco, US Capital Global is a full-service private financial group with a strong focus on asset-based lending, investment management, and capital raise services. The firm focuses on providing lower middle market businesses and investors with sophisticated debt, equity, and investment opportunities usually available only to larger companies and institutional investors. Manifesto Holding Plc is a UK-based parent company for the prestigious Paris nightclubs Wanderlust and Silencio, among others. Establishing revolutionary arts and culture spaces throughout the city, Manifesto’s various venues play host to a dynamic selection of cutting-edge music, arts, film, and fashion events. Working closely with London’s V&A, Cannes, Art Basel, and the Venice Biennale, Manifesto continues to impress with its progressive artistic vision, attracting a community of celebrated artists and thinkers, and promoting the appreciation of culture and cultural diversity. Enter your email address below and be the first to receive news each week.